The Phoenix VA scandal was a wakeup call to the nation. While there has been much progress legislatively and administratively to ease access to care for veterans at VA, we often hear from IAVA members that their experiences are vastly different. 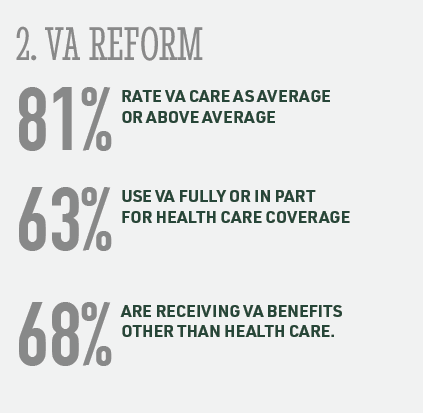 Creating a standardized system of care across all VAs is the ultimate goal, and every year we hear IAVA members ask for VA reform as a top priority.